For those who haven’t been keeping up, Destiny 2 is taking a seasonal approach to its second year of content – Bungie released Black Armory back in December and now they’re preparing to launch Season of the Drifter. 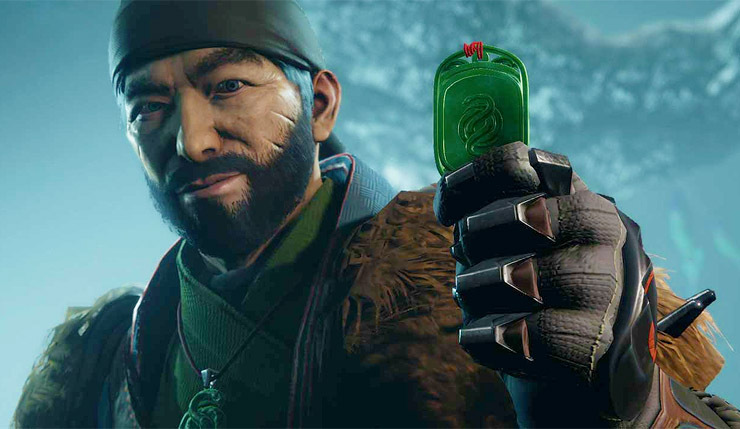 As the name implies, the update will focus on The Drifter himself, with Bungie promising new story and lore related to the roguish Gambit host. You can get a good look at the new season in the latest Bungie ViDoc. 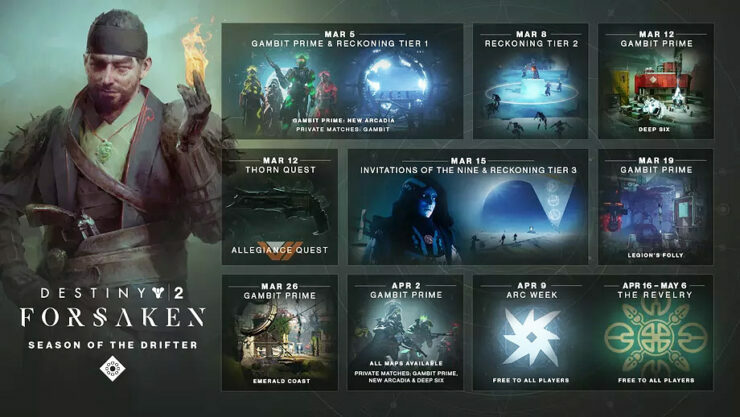 In terms of gameplay, Season of the Drifter will focus on two new modes – Gambit Prime, a new version of Gambit with a greater emphasis on combat roles, and The Reckoning, an intense endgame four-player PvE experience. New Season of the Drifter content, including Gambit Prime maps and new Reckoning difficulty tiers will continue to roll out throughout March and April. Check out the roadmap below (click on the image for full resolution). Season of the Drifter is part of the Destiny 2: Forsaken Annual Pass, which costs $35. One more update, the Season of Opulence, will launch this summer. Destiny 2 is available on PC, Xbox One, and PS4. Season of the Drifter kicks off on March 5.